Samsung is all set to unveil new Galaxy S10 series at its Unpacked 2019 event on February 20. At the event, related accessories are also expected to be launched simultaneously. 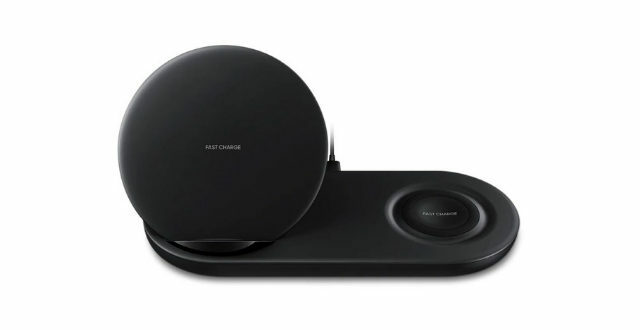 Before the release of the new products, a new wireless charger has passed the National Communications Commission (NCC) certification in Taiwan with model number EP-P5200 confirming that it is closer to launch. 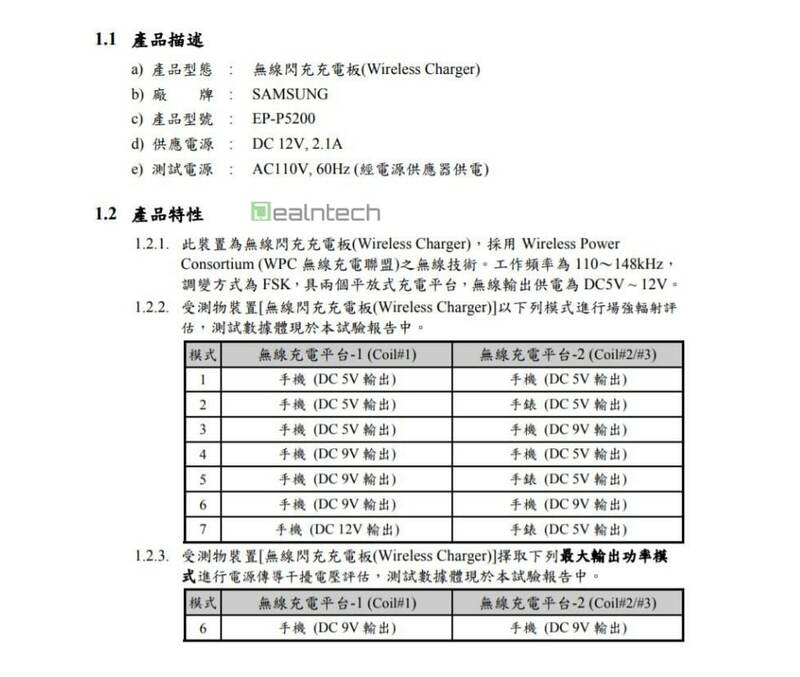 Previously, the wireless charger of the Galaxy S10 series was also spotted on US FCC website. 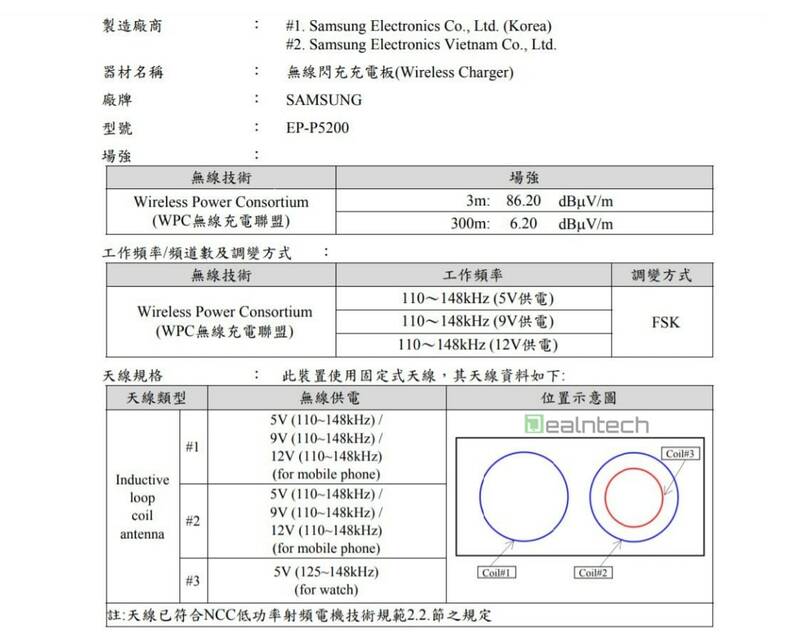 According to the NCC listing, the Samsung EP-P5200 wireless charger rated at 12V/2.1A input, which translates into around 15W of charging power for the new flagships. Moreover, the EP-P5200 will be a Qi-compatible wireless charger which means that you can charge any device that is compatible with a Qi-certified charger. The certification reveals that the EP-P5200 is a two-stage charging platform which is designed to be different from the EP-N6100 (a wireless charging accessory that comes with the Galaxy Note 9). The charging pad consists of two flat-discharge charging plates that can charge two devices at the same time and the wireless output power supply reaches DC5V~12V. 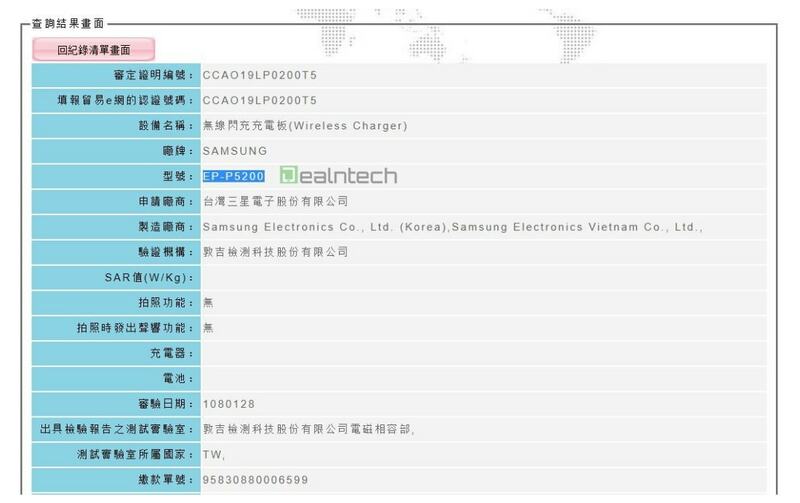 The NCC certification before the “Unpacked 2019” event hints that wireless charger EP-P5200 will be released alongside the Samsung Galaxy S10 series.